In the current digital world, there is a greater variety of options for business advertisement, event prints and publication advertising than before. Varick Street Litho has been printing the highest quality New York City prints for countless businesses, artists and organizations over the years. Where to Find the Highest Quality New York Print Services? Professional digital printing is the process of developing smooth and vibrant looking images on a piece of paper, fabric or cloth in a digitalized form. These images come out with a very high degree of clarity. Digital printing offers fast and convenient services when it comes to printing of images in flexible shapes and sizes. Before the invention of this mode of printing, companies used to depend on the typical printing process which was relatively slow and produced low-quality images. Professional digital printing is affordable and available in large format printing, a quality that has greatly contributed to its high demand. More so, it is easier than offset printing which is a much more resource-intensive process. Professional digital printing has a short and easy to follow procedure. Below is a brief outline of each step systematically once you have the images. Transfer the images from the camera or any other device into a computer connected to a digital printer. Make the desired adjustment to each image once you are done loading in the computer if necessary. This includes color, design, shape and size preferences among others. If the image satisfies the expected printed material, you can skip this step. Once you approve that the image is set according to the expectations, move the photo on your personal computer to printer command to get it printed. By simply following the above steps, you will have your pictures printed via the digital printer. How can a company benefit from our New York professional digital print services? It is a quick and time-saving form of image printing. Unlike the traditional method, professional digital printing is quick and less involving. The time-consuming part of this process is only the designing of the image. Once the artwork is ready and has separation to the digital printer, then it will only take you seconds before getting the final product. This makes it a very time-efficient printing approach. It offers an adjustable range of data printing. The use of variable data printing is key to improving mail promotions. It enables the company to produce its customized prints in masses, making it easier to create a personalized relationship with the targeted audience. Whereas traditional printing methods only use the four basic colors, digital printing devices offer a wide array of color and design options, making the final product perfect. It is suitable for long term usage. Since digital information is kept indefinitely unless it is deleted, an image that was crafted, say twenty years ago, can still be duplicated adhering to the dynamics of its premier print out. Due to the technological developments made on the workflow of digital printers, it is far much easy to use them in comparison to other printers. When using the digital approach to print images, mechanical procedures like color separation and film stripping are taken care of, easing the task. For companies, this eliminates the need of having many laborers to facilitate such procedures, hence saving on the budget that is paid out to workers. It is cost effective and eco-friendly. In digital printing, there is a low usage of resources such as paper, ink, and toners among others, hence wastage of resources is cut down. Paper usage is highly reduced since the transfer of images is done digitally. This reduces the cost used to buy resources and consequently cuts down the use of natural resources such as trees to get raw materials. Its final products are of superior quality. Take for example where a company intends to give a massive hoarding over a tall building; it may be more efficient to do it digitally. 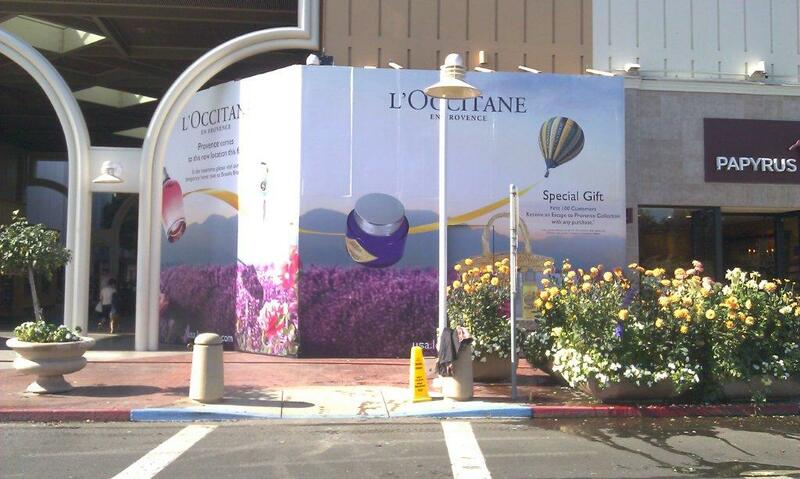 Using digital printing services will make it possible for the hoarding to be clearly visible to many people around. The message will also be readable even from a long distance. Applying professional printing services to magazine advertisements or brochure printing gives the page a perfect image quality that will appeal to a large audience. A very good example of where professional digital printing can be used is in the advertising domain where NYC companies prefer using large signage on billboards or buildings to pass information about their services or products. At Varick Street Litho, we offer numerous print services including digital printing, offset printing and large format printing. Contact us today to speak with one of our print experts about your needs.